Dr. Norato joined the Mechanical Engineering Department in 2014. He holds M.Sc. and Ph.D. degrees in Mechanical Engineering with Specialization in Computational Science and Engineering from the University of Illinois at Urbana-Champaign, and a Bachelor’s degree in Mechanical Engineering from the Universidad Nacional de Colombia. 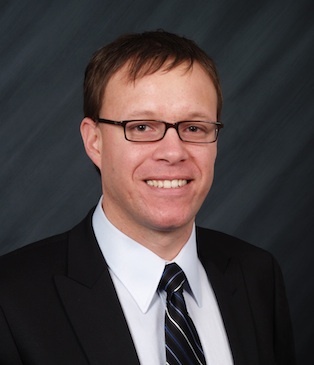 Prior to joining our department, he was responsible for the Product Optimization group at Caterpillar, where he and his team researched numerical methods and developed computational tools for structural and multidisciplinary optimization. He started and led the development of Caterpillar’s in-house topology optimization code, as well as the development of a method and tool for optimization of welding sequences to reduce weld-induced distortion, for which he received Caterpillar’s Move the Mountain Award. His current research interests lie in incorporating localized failure mode criteria (such as stress and fatigue), as well as manufacturing, cost and geometric constraints in topology and shape optimization for the design exploration of structures and materials, with the aim of exploring efficient structures that are tailored to a specific manufacturing process, and with applications across domains, from machine components to bone scaffolds.